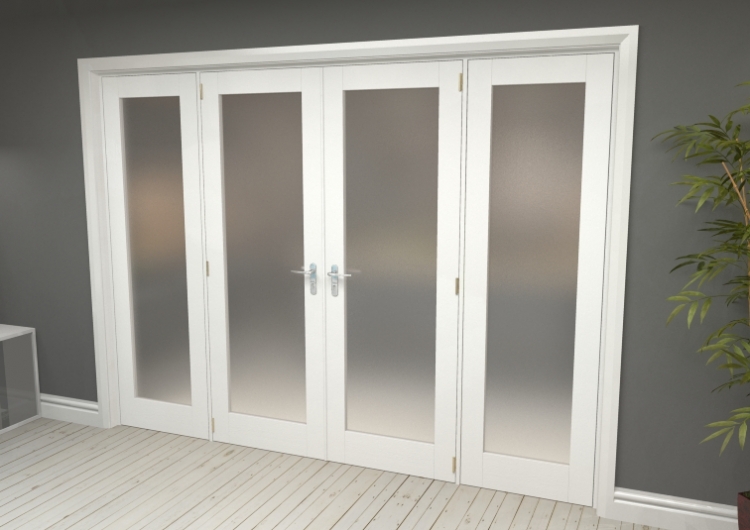 This Frosted glazed white internal french door range, offers good light flow whilst mainitaining privacy, through its toughened glass panels, and is manufactured using solid timber core to give these doors a weighty when opening and closing. This Pattern 10 White door style remains hugely popular with its simplistic modern edge. Note : Please note that our standard french doors without sidelights come with a matching primed frame as standard. This Quality White room divider range has an engineered core, ideal for strength, durability and value for money, and offers real stability.